Women face higher risks and burdens than men in transport, due to unequal access to resources, education, job opportunities and entrenched socio-cultural norms. The TInnGO project is developing a framework and mechanisms for a sustainable game change in European transport using the transformative strategy of gender and diversity sensitive smart mobility. It address gender related contemporary challenges in the transport ecosystem and women’s mobility needs, creating a route for Gender Sensitive Smart Mobility in European Transport, which considers diversity of different groups. TInnGO will show how inequalities are created and address gendered practices of education, employment, technological innovations and entrepreneurship as arenas for change and inclusion of gendered innovations. Smart Continent main role: running Baltic Hub for TinnGo observatory. Other project partners: Copenhagen University (DK) Politechnico Torino (IT), Technical University Ilmenau (DE), KTH (SE), Interactions Ltd (IR), ITENE (ES), VTM Consultores (PT), Integral Consulting (RO), LEVER (GR), West Midlands Combined Authority (UK), Municipality of Calmaria (IT), Makios (GR), Signosis (BE), Comune di Torino and other. Civitas PORTIS designs, demonstrates and evaluates integrated sets of sustainability measures in 5 major port cities located on the North Sea (Aberdeen and Antwerp), the Mediterranean Sea (Trieste), the Black Sea (Constanta), and Baltic Sea (Klaipeda). The project also involves a major international follower port city on the East China Sea (Ningbo). Smart Continent role: drafting sustainability strategy for Klaipeda city and port; conducting technical studies; preparation and validation of measures. Other project partners: Aberdeen City (UK), Trieste City (IT), Konstanza City (RO), Klaipeda City (LT), Ningbo University (CH), Robert Gordon University (UK), Aberdeedn port administration (UK), Trieste Port Administration (IT), Antwerpen Port Administration (BE), FgM AMOR (AT), VECTOS (UK) and other. The overall aim of SUITS is to increase the capacity of local authorities to develop and implement sustainable, inclusive, integrated and accessible transport strategies, policies, technologies, practices, procedures, tools, measures and intelligent transport systems that recognize the end-to-end travel experiences of all users and freight. This will be achieved by taking a sociotechnical, approach to addressing capacity shortfalls in the 6 areas: innovative financing, evidence and argument, mobility intelligence, data gathering, procurement, safety and security. Smart Continent role: preparation of capacity building requirements and progress evaluation of municipal sector to implement innovations. Other project partners: Politechnico Torino (IT), Technical University Ilmenau (DE), KTH (SE), FIA(FR), Interactions Ltd (IR), ITENE (ES), ZHAW (CH), Eurokleis (IT), VTM Consultores (PT),SBOING (GR), Tero (GR), RSM (IT), Integral Consulting (RO), LEVER (GR), City of Coventry (UK), Municipality of Calmaria (IT), Makios (GR), Signosis (BE). METPEX is aiming to develop and evaluate a standardised tool to measure passenger experience across whole journeys. METPEX stands for measurement tool to determine the quality of passenger experience and its results will be used to inform policy makers in providing inclusive, passenger-oriented integrated transport systems that are accessible by all citizens. The development of an inclusive, validated passenger experience measurement instrument is the first step in creating high quality, user centred, integrated, accessible public transport services, which are capable of attracting and retaining public transport users whilst meeting sustainability targets. Smart Continent role: state of the analysis, definitions of quality indicators, testing and validating the tool, preparation of policy recommendations. Other project partners: Politechnico Torino (IT), KTH (SE), FIA(FR), Interactions Ltd (IR), ITENE (ES), ZHAW (SH), Eurokleis (IT), VTM Consultores (PT),SBOING (GR), Tero (GR), RSM (IT), Integral Consulting (RO), Signosis (BE), City of Torino (IT). 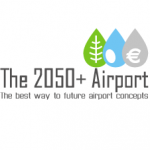 Airports in 2050+ (regional and large) need to be environmentally sustainable, affordable and time efficient. Three discrete concepts are developed to highlight these three crucial characteristics. All concepts are feasible in the sense that they all take into account efficiency, costs and environment but each concept shows what the solutions are if you take one objective as the lead objective and go to the extreme in that area. Smart Continent role: elaboration of concept of low cost airport; evaluation and validation time efficient and green airport concepts. Other project partners: DLR (DE); Technical University Delft (NL); University of Polytechnics Madrid (ES); INECO (ES); CRIDA (ES). 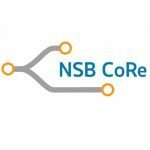 NSB CoRe enhances regional development in the north-eastern Baltic Sea Region by improving the internal and external accessibility of the region along the North Sea Baltic TEN-T corridor. NSB Core improves the accessibility of cities, regions and industries, communicates and facilitates between local, national and EU-level decision-makers and creates mechanisms to support private sector’s participation in multi level governance of industries and logistics. Smart Continent role: expertise in public policy management, engagement of stakeholders, surveys, data analysis. Other project partners: Institute of Logistics and Warehousing (PL), State of Berlin (DE), State Regional Development Agency, Latvia / VASAB Secretariat (LV), City of Helsinki (FI), Riga Planning Region (LV), Port of Hamburg Marketing Registered Association (DE), Kaunas City Municipal Administration (LT), Self-Government of Mazowieckie Voivodeship (PL), Investor Center Ostbrandenburg GmbH (DE), Techvilla Ltd / Limowa Association (FI), City of Hämeenlinna / Growth Corridor Finland (FI), Municipality of Kaunas District (LT), Marshal’s Office of the Podlaskie Voivodeship (PL), City of Tallinn (EE), Kvarken Council (FI). Smart Continent role: subcontract expertise in preparing methodology for assessment of policy instrument towards carbon footprint reduction. Other project partners: Coventry University Enterprise Limited (UK), City of Vallidolid (ES), City of Graftschatf Benheim (DE), Aristotle University of Thessaloniki (GR), Kalisz-Ostrow Agglomeration (PL). The objective of BESTFACT is to develop, disseminate and ebrochurenhance the utilisation of best practices and innovations in freight transport that contribute to meeting European transport policy objectives with regard to competitiveness and environmental impact. Project coordinator: Planung Transport Verkehr AG (DE). Smart Continent experts were involved through employment in Vilnius Gediminas Technical University. Promotion of Operational Links with Integrated Services (BE), Rapp Trans AG (SUI), University Maribor (SL), University of Westminster (UK), Valtion teknillinen tutkimuskeskus (FI). 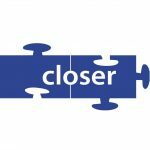 CLOSER project provides an overview of how to support knowledge sharing (e.g. evaluations, recommendations, specific guidelines) in the interface between long and short-distance transport networks in the transport chain for both passengers and freight in order to get more systematic approach within the whole system of the new mobility/organization schemes for the stakeholders. Project coordinator: Instituts Francais des Sciences et Technologies des Transports de l’Aménagement et des Réseaux – IFSTTAR (FR). Other project partners: Transportøkonomisk institutt -TOI (NO), Eurogrant GmbH (DE), Centrum dopravního výzkumu, v.v.i – CDV (CZ), Centre for Research and Technology Hellas / Hellenic Institute of Transport – CERTH/HIT (GR), Vilnius Gediminas Technical University (LT), Centro de Estudios y Experimentación de Obras Públicas – CEDEX (ES). COFRET worked with existing initiatives that were already being developed by various stakeholders in the supply chain so that it was aligned with the needs of those responsible for shipping and transporting goods by whatever means. 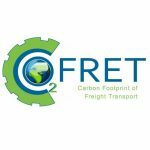 COFRET used this approach to help in the standardisation of a carbon footprinting approach for supply chains and their individual elements. This close co-operation between the research team and industry stakeholders was an integral element of COFRET. Other project partners: IFSTTAR (FR), Transportøkonomisk institutt -TOI (NO), TTR (UK), Centre for Research and Technology Hellas / Hellenic Institute of Transport – CERTH/HIT (GR), Vilnius Gediminas Technical University (LT), PTV (DE), RAPP (SUI), TNO (NL), Technical University Delft (NL), VTT (FI), NEA (NL), MARLO (NO) . The main objectives of the TransNEW project were to research the current state-of-the-art of transport research provision in each of the New Member States (NMS) and Associated States. This included the four transport modes of road, rail, waterborne and aeronautics and included both the public and private sectors. After successfully researching and gathering this information it was collated together and developed into the TransNEW database of transport researchers across the regions and modes. Project coordinator: University of New Castle (UK). Experience has shown that the most innovative urban areas implementing City Logistics Solutions tend to be large cities or country capitals. These larger conurbations have the resources to access support for innovative transport solutions, participate in city networks and exchange knowledge and experiences with each other.The intention of BESTUFS II was to produce a series of CLS best practice guides based on information documented in the handbooks of BESTUFS and BESTUFS II. 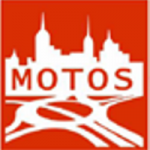 he high level objective of the MOTOS project was to support transport policy in Europe by defining common good practice principles for national and regional transport modelling that satisfy immediate needs of model developers in the New EU Member States and contribute to the establishment of a standardized approach for transport modelling in the European Union. Project coordinator: Goudappel Coffeng BV (NL). 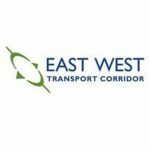 EWTC aimed to strengthen the transport development through infrastructure improvements, new solutions for business, logistics and co-operation between researchers. During approximately 20 months an extensive workload was carried out in the project. During this period a number of reports were made, seminars, workshops and conferences held and many interesting discussions carried out between all the different partners in the project consisting of spatial planners, politicians, businessmen, public officers and researchers..
Project coordinator: Region Blekinge (SE). 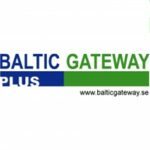 Baltic Sea Region Interreg III B NP project, which aims at improving the competitiveness and attractiveness of the Baltic Sea region in relation to other European regions through transnational co-operation on spatial planning and improvement of transport and communication links. 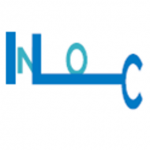 The InLoC project involves 35 partner organisations from nine Baltic Sea countries. The main objective of the project is to improve the networking and operation of ports, logistics centres and other logistics operators. Project coordinator: University of Turku (FI). Project aimed to develop a multimodal freight transport system to support economic growth and integration in the South Baltic Sea. 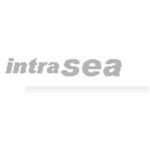 The INTRASEA project was focused on developing the EU transport policy regarding inland waterways; develop tools for economical and environmental justifications for infrastructure projects.The existing tourist and logistic Inland Waterways in the Baltic Sea Region is evaluated within the INTRASEA project. The project aimed to carry the INTRASEA VISION2020+ forward, using the INTRASEA Strategy set up for this fulfilment as guidance for future success. Project coordinator: Swedish Maritime Administration (SE). Other project partners: Aberdeen City (UK), Trieste City (IT), Konstanza City (RO), Klaipeda City (LT), Ningbo University (CH), Robert Gordon University (UK), Aberdeedn port administration (UK), Trieste Port Administration (IT), Antwerpen Port Administration (BE), FgM AMOR (AT), VECTOS (UK) ant others. Other project partners: Politechnico Torino (IT), Technical University Ilmenau (DE), KTH (SE), FIA(FR), Interactions Ltd (IR), ITENE (ES), ZHAW (SH), Eurokleis (IT), VTM Consultores (PT),SBOING (GR), Tero (GR), RSM (IT), Integral Consulting (RO), LEVER (GR), City of Coventry (UK), Municipality ofCalmaria (IT), Makios (GR), Signosis (BE). Other project partners: IFSTTAR (FR), Transportøkonomisk institutt -TOI (NO), TTR (UK), Centre for Research and Technology Hellas / Hellenic Institute of Transport – CERTH/HIT (GR), Vilnius Gediminas Technical University (LT), PTV (DE), RAPP (SUI), TNO (NL), Technical University Delft (NL), VTT (FI), NEA (NL), MARLO (NO).